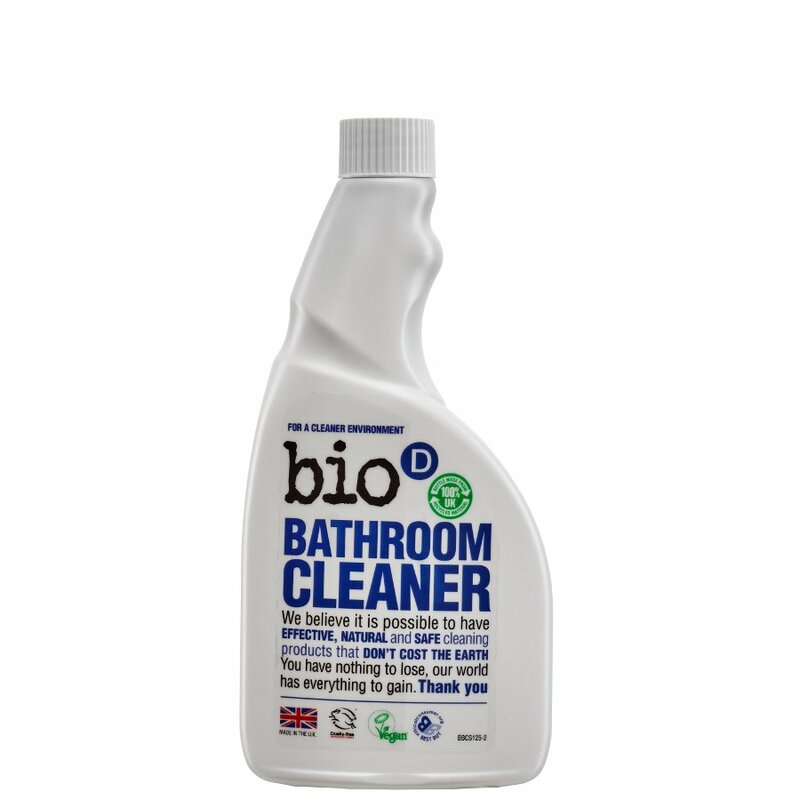 This Bio-D Bathroom Cleaner Refill is for the Bio-D Bathroom Cleaner Spray - a convenient bathroom and shower cleaner for use on glass ceramics perspex chrome and most non-porous surfaces. Not recommended for use on gold plated items. All the detergents used in Bio-D products are plant based from replenishable sources. Bio-D do not add perfumes dyes or petro-chemical derivatives. Bio-D are totally opposed to animal testing and are endorsed by the BUAV and the Vegan Society. The Bio D Bathroom Cleaner Refill - 500ml product ethics are indicated below. To learn more about these product ethics and to see related products, follow the links below. quality excellent. I can recommend for everyone. Great product, cleans well and avoids using a new un-recyclable nozzle top each time.